On Sunday, as part of their 20th anniversary celebration, Audible announced the inaugural inductees of the Narrator Hall of Fame. The 20 members of this founding group were chosen by a panel of passionate listeners at Audible who spent many, many hours deliberating the merits of hundreds of talented performers based on the caliber of their work, the breadth of catalog, and listener feedback. Among the honorees? Four ACX Producers! This week, they are sharing their reflections on the honor, and their advice to future inductees. 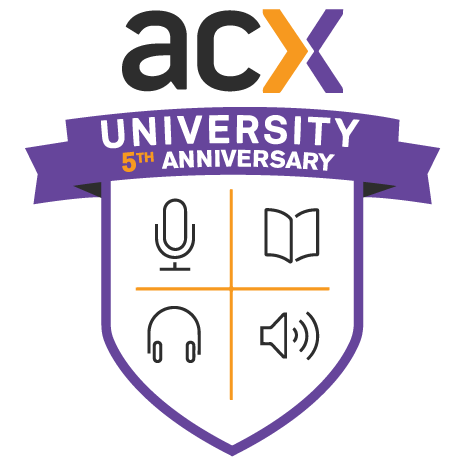 Today, we kick things off with ACX University alumna Andi Arndt. When I got the call informing me that I had been voted into the inaugural “class” of the Audible Narrator Hall of Fame, I was in shock. I have only worked in audiobooks for the latter half of Audible’s 20 years. My fellow inductees have been, and continue to be, my role models, my teachers, my mentors. To be included among them is the highest honor I can imagine. When I look back at the things that made a big difference along the way, a couple come to mind. Surround yourself with people who support you and believe in you. My dear husband Chris bought me a Dell Media Center computer for Christmas back in the 1990’s, and said he thought maybe I could use it for a home studio. That gift got me thinking about starting my own business, and along the way Chris and my daughters gave their blessing and encouragement as I traveled all over the country for workshops, conferences, and recording sessions, and as my increasing working hours complicated our family schedule. I know from talking with some of my coaching students and colleagues that not everyone has that kind of moral and financial support, and I absolutely do not take it for granted. This advice applies to people you hire as well; when I asked our family’s former tax accountant some questions about the tax implications of my then-new small business, he said “ask me that when you make over $10,000.” I felt like I’d been patted on the head and dismissed. We now have a great accountant who takes our questions seriously and helps us plan for the future with an eye toward growth. Show up for stuff. Go to workshops and keep up with your classmates and teachers. Go to industry events, big and small, a few times a year. Don’t worry about immediate results; focus on getting to know people that you will learn from and work with for years to come. You can do a lot from your home studio, via social media and email, but until you show up in person and start getting to know your clients and colleagues as people, you’ll have a hard time feeling as though you truly have access to the information and connections you need to get where you want to go. Best wishes to you in your professional endeavors, and please join me in congratulating Audible on their two decades bringing the spoken word to ever-increasing audiences. Congratulations also to my fellow Narrator’s Hall of Fame inductees. Here’s to the future! 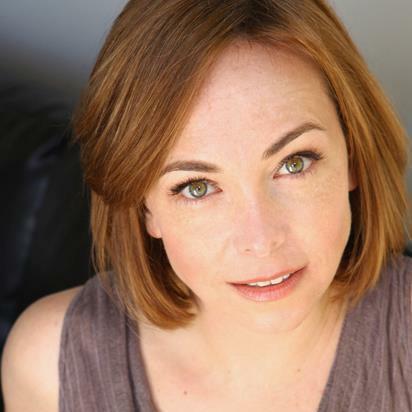 Andi Arndt is an Audible Approved Producer who’s voiced more than 180 titles on Audible. Find her on ACX, Facebook, and at her website. Read reflections from Hall of Famers Scott Brick, Luke Daniels, and Simon Vance.